Stumped for that nonpareil gift this year? These handsome volumes are the answer to your holiday shopping woes. 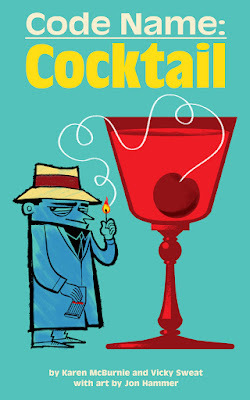 Order for the bon vivant on your list who’s seen it all, the liquor lover with no stomach for cocktail twee-ness, the art maven, the mid-century-aholic, the film buff, your local action movie villain, or the connoisseur of small-press books. Buy one to go along with that fake i.d. 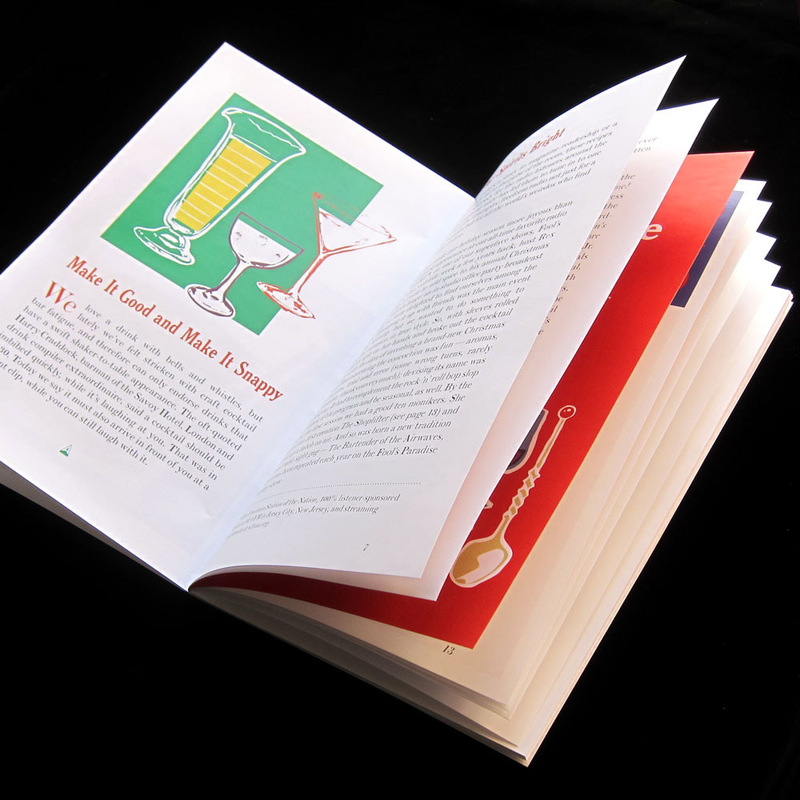 for your kid brother, one for Dad’s cookbook collection, and one for Mom’s bar. You want your cocktail strained, not your seasonal shopping. These booklets will be delivered to your door & leave you time to relax with a soothing snootful by the fire. First, our newest model, Code Name: Cocktail. 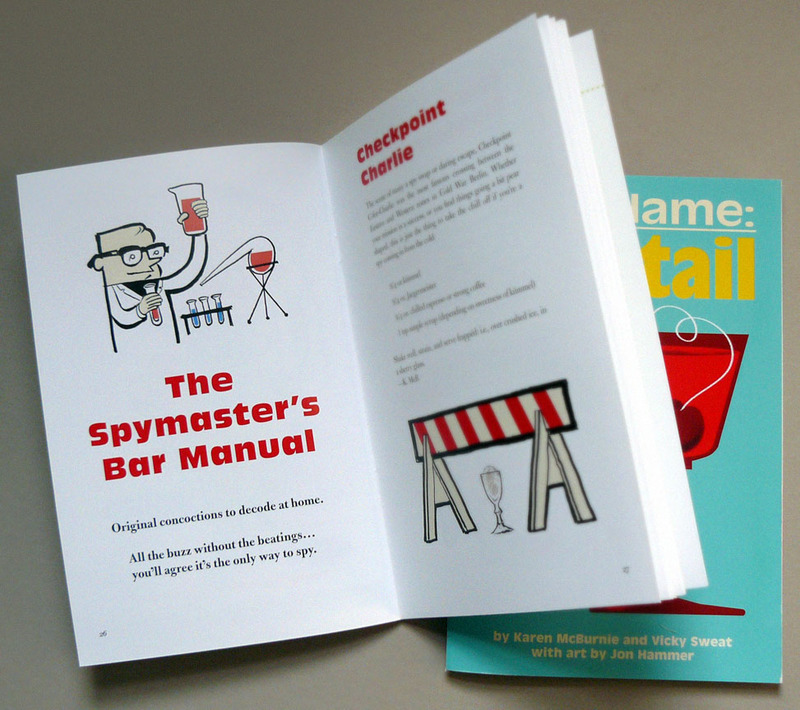 40 sumptuous pages of cocktails, punches and potions as imbibed by secret agents of mid-century fiction, including 13 original recipes concocted in our secret labs. PLUS tips and tradecraft to weaponize your home bar. 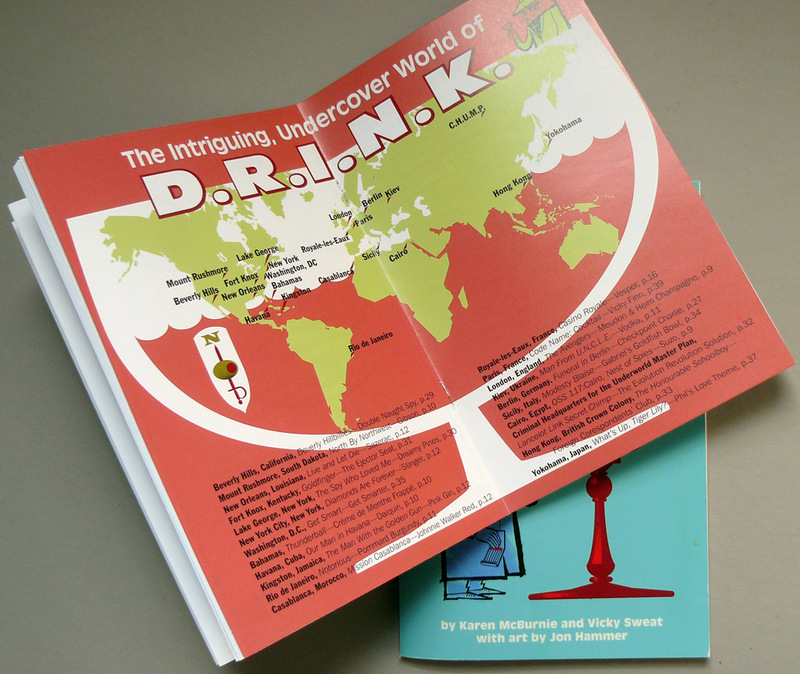 Did you miss our symposium, The Spy Who Came In From The Pool, based on this booklet at the 2017 Tiki Oasis weekender in San Diego? Two tipples from it, The Cloak and Stagger Punch and The Ejector Seat, were demonstrated. All attendees survived, or so we are told. Some spicy intel is revealed in the pages of Code Name: Cocktail. What’s James Bond’s freakiest drink? Where did Harry Palmer learn to mix properly? Which cocktails are best with egg salad? What’s Alec Leamas’ favorite color? (Just kidding – that last one is classified.) Click the Buy NOW button below. Perhaps you prefer something entirely seasonal. Howzabout Hark! The Radio Bartender Brings? There are still a few copies of our holiday cocktail guide. It’s that most wonderful time of the year — the hustle-bustle and anticipation as everyone prepares for a very special visitor. 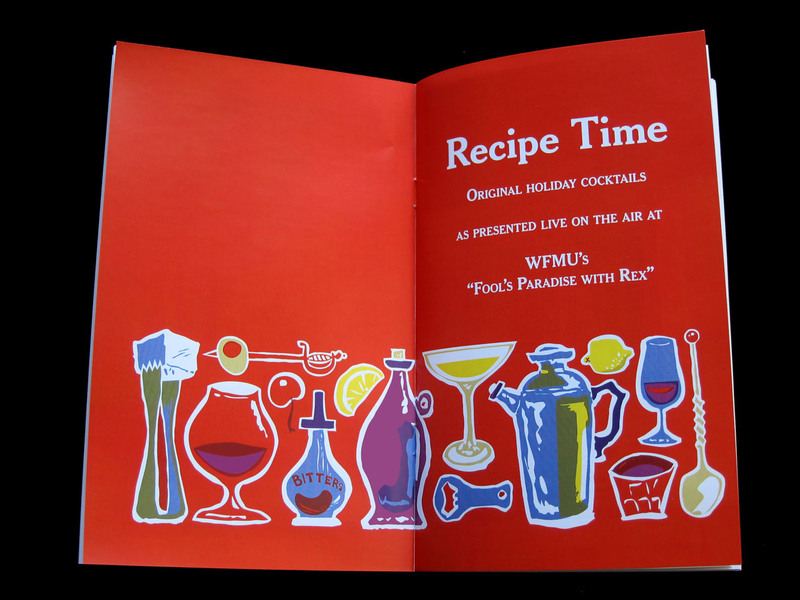 Yes, of course we mean The Bartender of the Airwaves, bringing a gleaming new holiday cocktail for all the parched listeners of Fool’s Paradise with Rex on radio station WFMU. 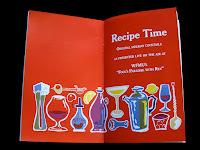 Due to popular thirst, we’ve collected these original cocktail recipes in an eyeball-pleasing 40-page booklet. 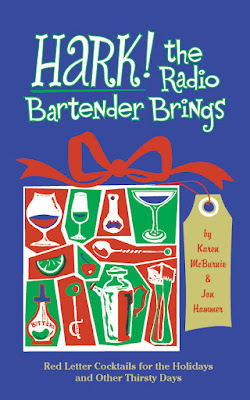 In addition, it tells the heart-warming tale of the Radio Bartender, and provides guidance and counsel to make your holiday cocktail hour merry and bright. To purchase Hark! 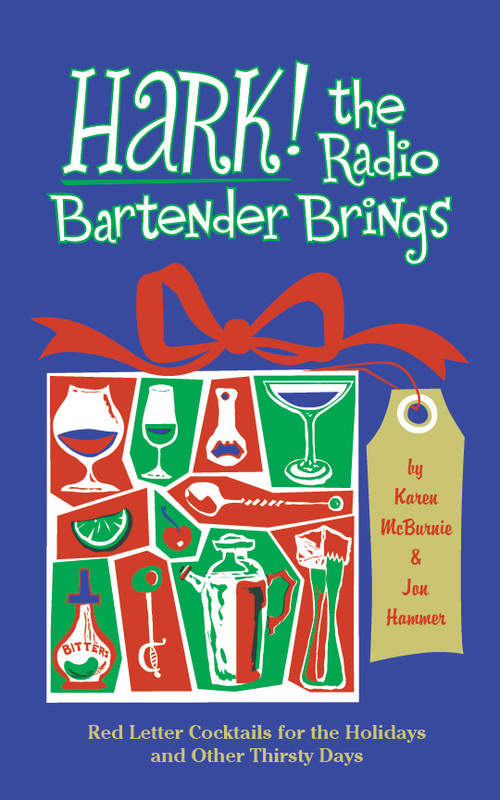 The Radio Bartender Brings via PayPal, click on the Buy Now button below. The holidays will be upon us in a flash. Order today! US addresses use the button below. Or, contact us for worldwide shipping info or multiple purchase discounts. On the drop-down menu you can choose to buy up to four copies at one time, but the shockingly sympathetic free US shipping never changes. Shipping multiple copies won't cost you one thin dime! This is a money saving offer that thrifty gift-givers will not want to miss. Pass the savings on to the art supply (liquor) store.